We say picture adds life to content, but you don’t realize videos often adds new life to you blog posts. There is a huge list of things that can be explained in a just 2 minutes video than a 2000 words blog post. Although adding YouTube videos in Blogger site is extremely straightforward, but for some beginners it might be difficult to learn to understand how to embed YouTube Videos in their blog posts. 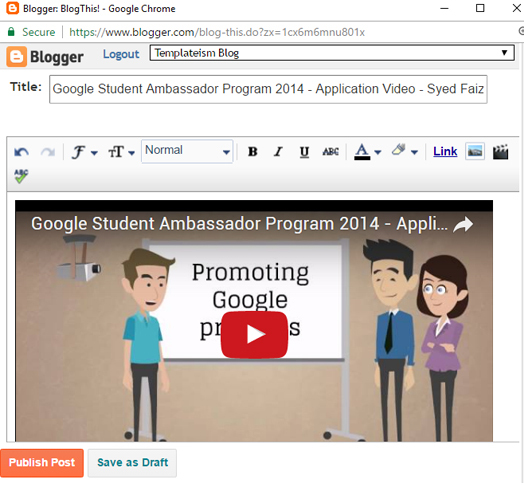 In this article, we will share how to easily embed YouTube videos in Blogger blog posts. There are several ways of adding YouTube videos in blogger, but we will try to discuss all possible ways so you can decide which one suits you the most. 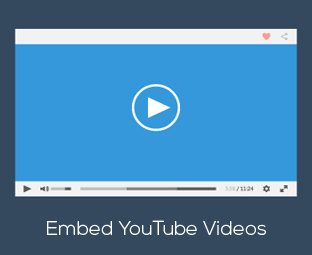 One of the most used method to add YouTube videos in your blog posts is by using embed code. Firstly go to YouTube.com and open any video that you would like to embed. Now, click on the share icon. After copying the YouTube video embed code, go to Blogger >> Add New Post >> Select HTML tab >> paste the embed code in the HTML Editor. You can change the width or height based on your needs. Once you are happy with your video, press the publish button. YouTube allows you to directly share their videos on your Blogger blogs through their “Share to Blogger” feature that is provided to every video that is uploaded on blogger. To directly share YouTube videos to your Blogger site, go to YouTube.com and open up any video that you like. After clicking on Blogger Icon, a new window will pop out. From the list of your blogs, select which blog you want to share this video and press the “Publish post” button. Probably the easiest way to add YouTube videos in blogger is to use the built-in “Insert a Video” feature that is provided in blogger post editor. Go to Blogger >> Add a New Post and Click on the “Insert a Video” icon. Since we want to add a video from YouTube, select “From YouTube” from the list of multiply options that you can use to insert videos into your blog posts. 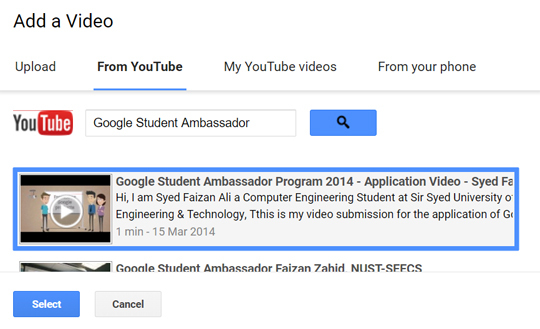 In the search box, type a title of the video or search for any video. Once searching is complete, click on the video thumbnail and press the “Select” button to add it in your blog post. Once you’re satisfied, press Publish button. We hope this tutorial has helped you in learning how to add YouTube videos in blogger posts. If you liked this tutorial please share it on Facebook, Twitter or Google+.